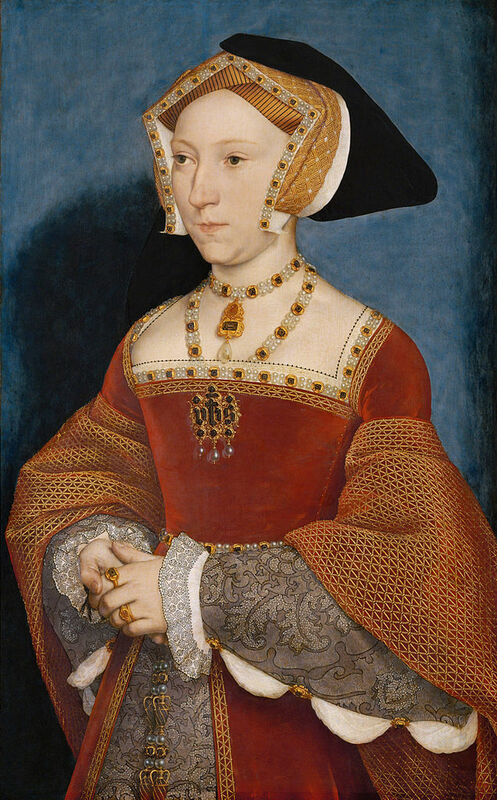 Today in 1537 tragedy descended upon the Tudor house when Henry VIII’s third wife, Jane Seymour, died of puerperal fever just 12 days after giving birth to their beloved son, Edward. Jane had gone into labour on the 9th October but with 2 days having passed with still no sign of a baby a solemn procession was held through London to pray for her. The people’s prayers were soon answered and Edward was born at 2am on the 12th October to much jubilation from Henry. Antonia Fraser writes how Henry wept with joy as he held his newborn son and heir in his arms, having finally achieved his dream. But what of Henry’s wife, Jane? Despite the long labour of 2 days and 3 nights Jane was very much alive and had recovered well enough to receive guests after Edwards sumptuous christening 3 days later. In later years rumours surfaced that Edward had been born by cesarean and that Henry had sacrificed his wife’s life for that of his unborn child by ordering that one be performed. However, if Jane had been well enough to receive visitors so soon after Edward’s birth this simply couldn’t have been the case.